The world was meant for tea drinkers. Whether you’re traveling to the Bahamas, England, Greece or simply going to take in some relaxation at a luxury hotel, tea can be your very best friend. It’s portable and you’ll find it in almost any hotel room. Best of all, you might not need to pack all of those medicines you typically take. Though it might seem almost obvious, tea can help your body and mind. True, there was a time when nearly every advertisement or news report touted the health benefits of green tea. Hot green tea, iced green tea; the list went on and on. It is good for you, but not as good as previously reported. Thankfully, green tea isn’t the only game in town and you’ll find many varieties to choose from. Travel is a combination of many things, and though you might feel the urge ‑ rightfully so ‑ to splurge and enjoy the native cuisine, you can also stay healthy while doing so. Tea is one of the easiest ways to supplement your health on the go. Here are four types of tea you should become acquainted with, and some basic things about the herb you might not have known. If you pick up a box of chamomile tea, you’ll often see images of things at rest. Perhaps a woman with her eyes closed, enjoying a serene moment. Maybe fall leaves drifting slowly about. You’ll also see lots of warm color palettes. That’s because chamomile is made from flowers. There’s German chamomile (Matricaria retutica) and Roman or English chamomile (Chamaemelum nobile). It can be used as a sleep aid or to help treat slow-healing wounds, skin conditions, chest colds and more. 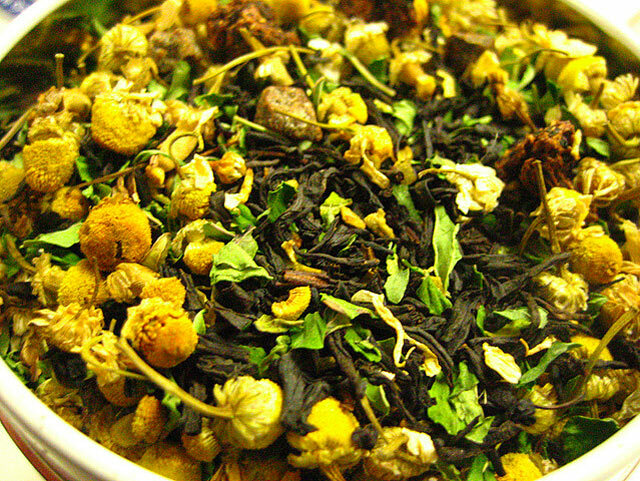 If you’re in a busy city and can’t seem to relax, chamomile tea might be exactly what you’re looking for. Drawn from flowers, specifically the round part of a rose flower, rosehip is not only used for tea, but also for making medicine, as well. One interesting thing about this tea is that it contains Vitamin C, which means if there’s not any orange juice around, you can save yourself a trip to the convenience store and simply stock up on some rosehip tea. Flu or cold symptoms are great reasons for drinking rosehip tea, but it can also be used for stomach disorders. It helps with weight loss, fever, constipation and other ailments. If you check the label on your favorite soup can, don’t be surprised if you see rosehip as an ingredient. Get a little spice in your life with ginger! 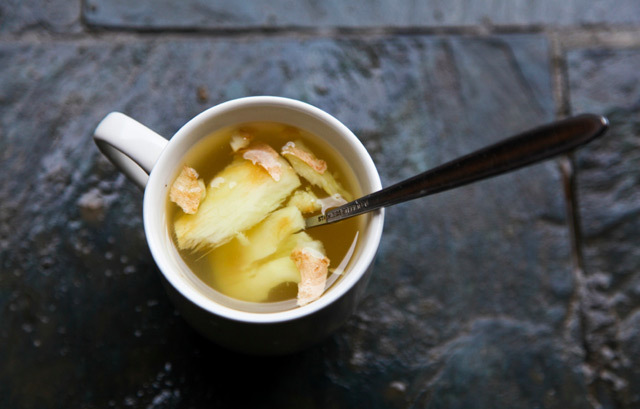 If you’re having any issues because of travel (nausea, stomach issues or vomiting), ginger tea has properties that make it a digestive aid. According to WebMD, it can also help with upper respiratory-tract infections, cough and bronchitis. 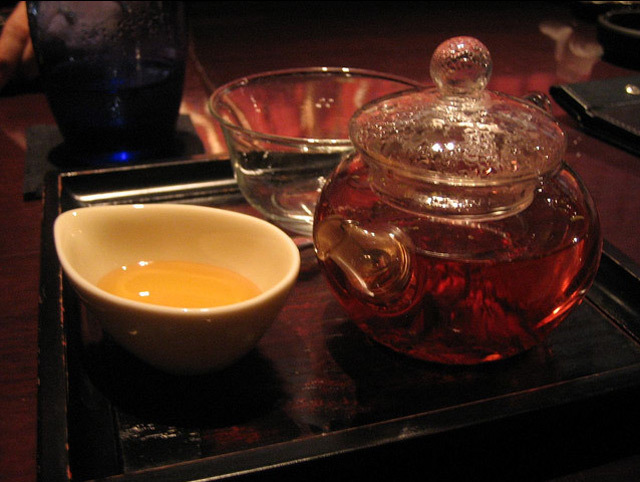 It might be an acquired taste, due to its spicy notes, but ginger tea certainly has a soft touch. Be sure to keep this handy on your trip. Given its many uses, you might even want to keep some at home. 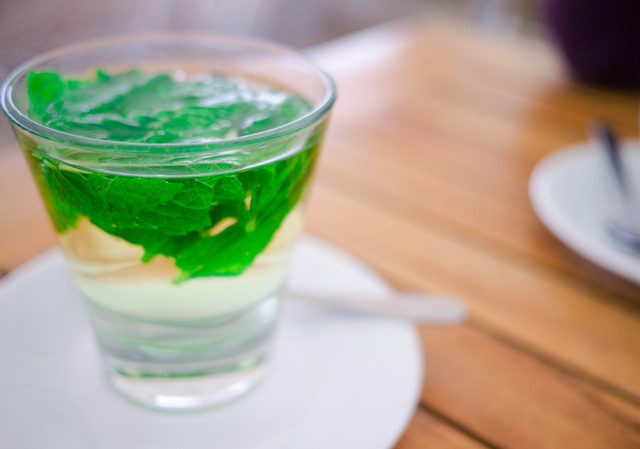 This minty tea usually conjures up feelings of a breezy day or of wintertime. Chocolate-covered peppermint patties and peppermint candy canes are quite popular, as well. Derived from a plant, peppermint tea carries a ton of health benefits. It can help alleviate inflammation of the mouth and throat, morning sickness, irritable bowel syndrome (IBS), heartburn and other ailments. It’s also great for helping to soothe menstrual discomfort. If you find yourself away from home and not quite feeling well, peppermint tea’s something you might consider. In fact, before you’re thrown into luxury rehab, take a moment to enjoy a warm sip of peppermint tea. It’ll almost certainly brighten your day.